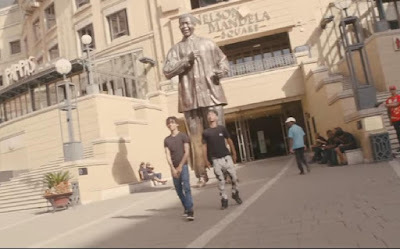 The latest single off Rae Sremmurd's debut “This Could Be Us,” shot in South Africa. Swae Lee deals with a long distance relationship with singer Jasmine V as his girlfriend in the clip. She breaks up with him over FaceTime while he’s in Johannesburg, but he doesn’t seem to care because he’s living the life, taking selfies with wild animals while on safari and partying with girls in the club. DeJ Loaf also makes a cameo as Slim Jimmy’s girlfriend. Rae Sremmurd will join Nicki Minaj on her “Pinkprint Tour” in July.